The Office of Information and Regulatory Affairs (OIRA) created a smartphone app Wednesday that contains the status of agency regulatory actions. 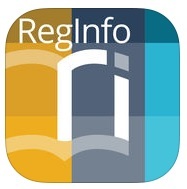 The app, RegInfo Mobile, is based on the website RegInfo.gov, which allows users to view current and past regulations, view information about pending and completed reviews of rulemakings, browse the list of past and upcoming public meetings about regulations under review, and view information about pending OIRA information requests. The app allows users to search for regulations based on when they were completed, if they’re still being reviewed, or by agency. There are 96 regulations pending and 98 regulations recently concluded as of Thursday. The app also includes an interactive timeline, which shows the development of agency rules.